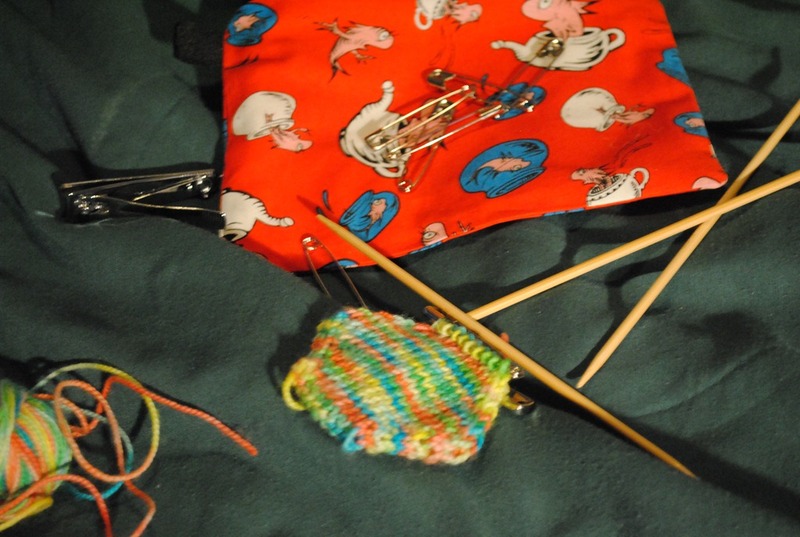 owlmazing makes… a WIP wednesday! 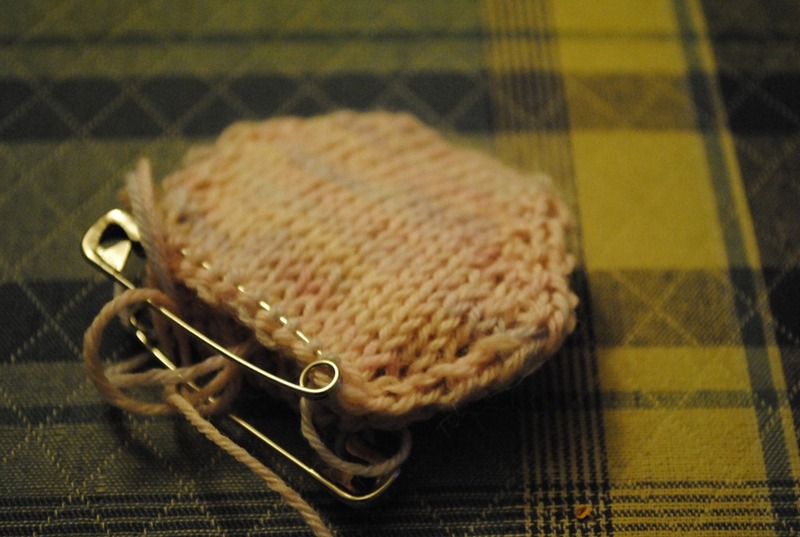 This week I am working on a few things. My moms xmas socks for one, but those won’t be on here again until they are DONE! 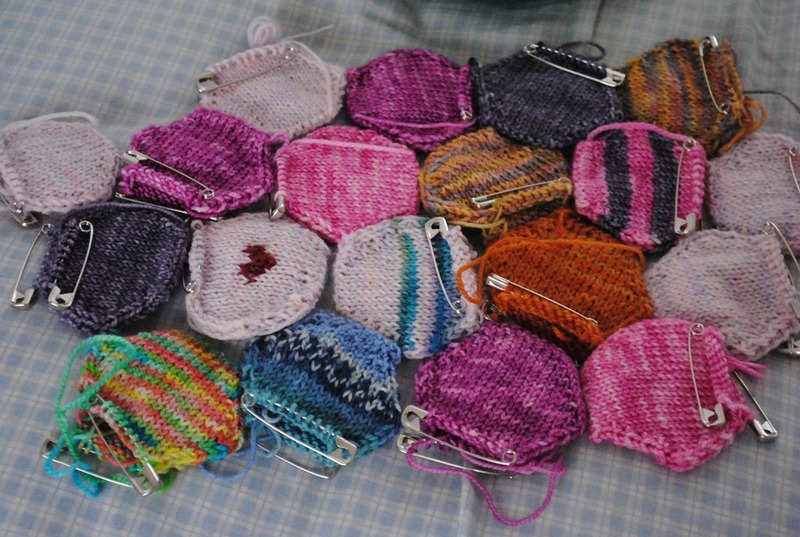 I’m hoping to finish them this week, yet all I’ve knit today is hexipuffs! 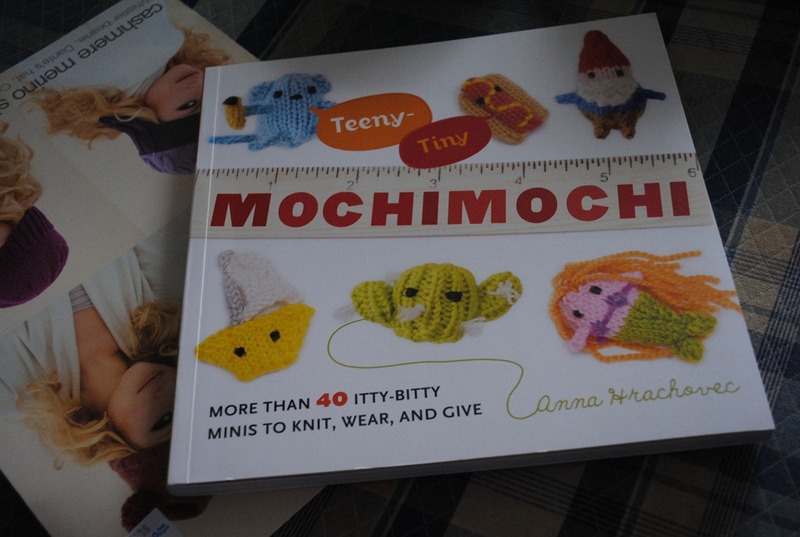 They are SO addictive…and I got something in the mail last night! More about that later though. 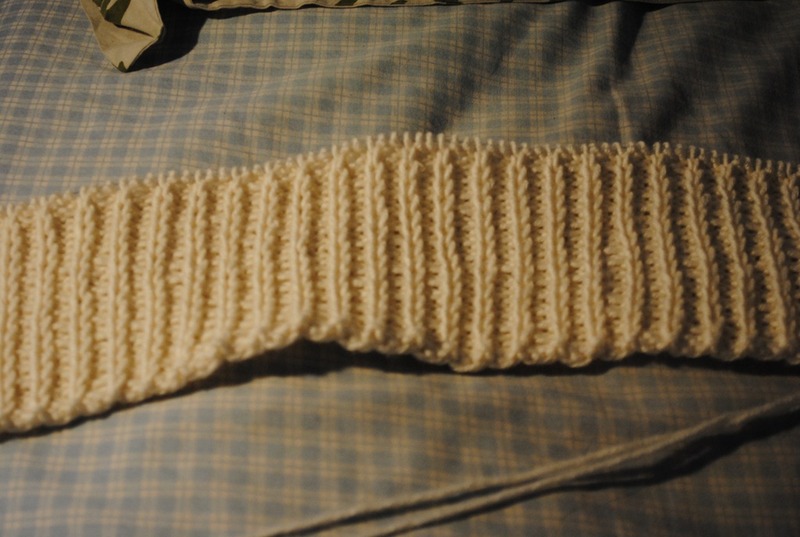 I have to knit this to be 9 inches, it’s about 3? 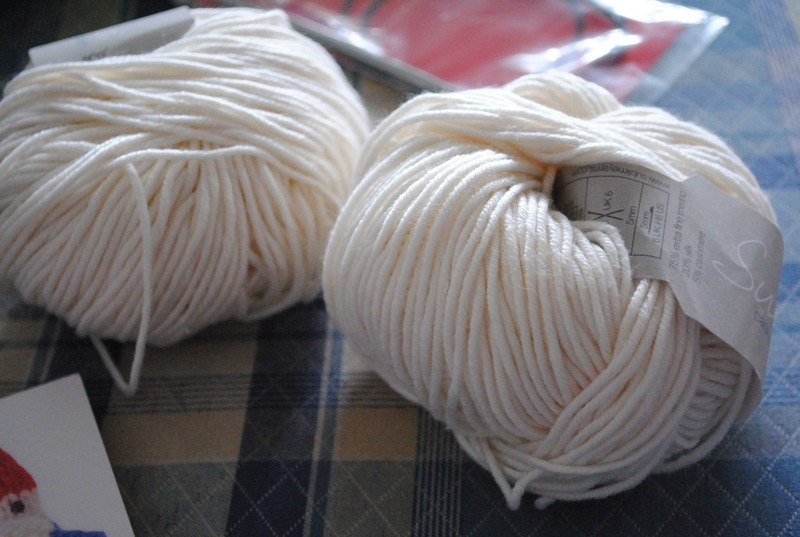 And I’m almost done the first ball of sublime cashmere merino silk DK in cream. I am going to need to buy another one, I only have 1 left! 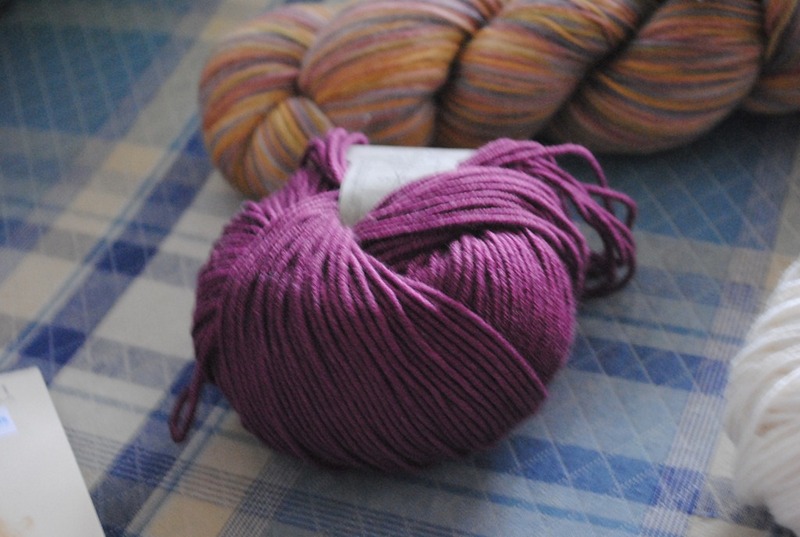 I’m a bit disappointed that the pattern only called for 2 balls, as it is QUITE the trip out to the LYS. This project hasn’t been getting much love lately though. 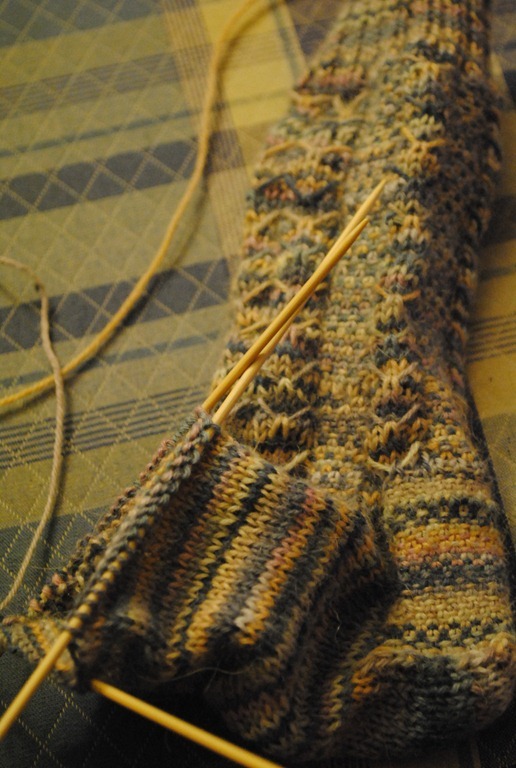 The socks are taking up all my Dexter knitting time! 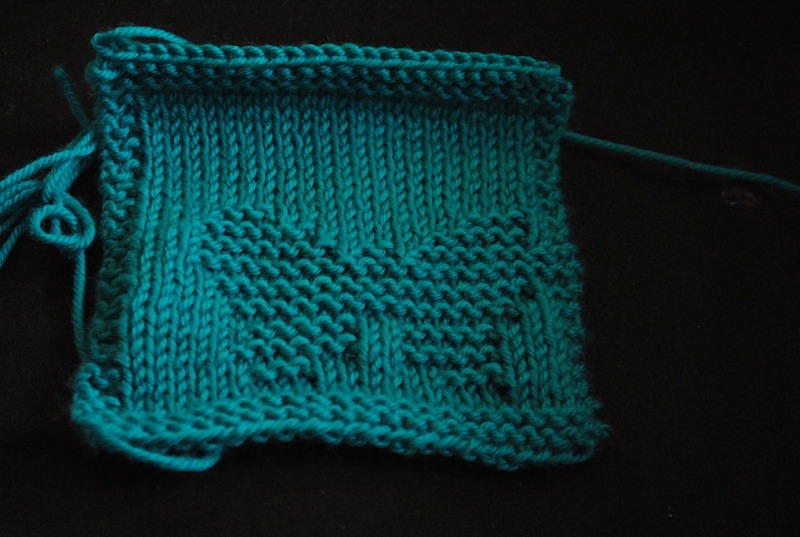 The first puff I knit up out of the skeins! I did this this morning 🙂 I loooove the way the yarn striped up. 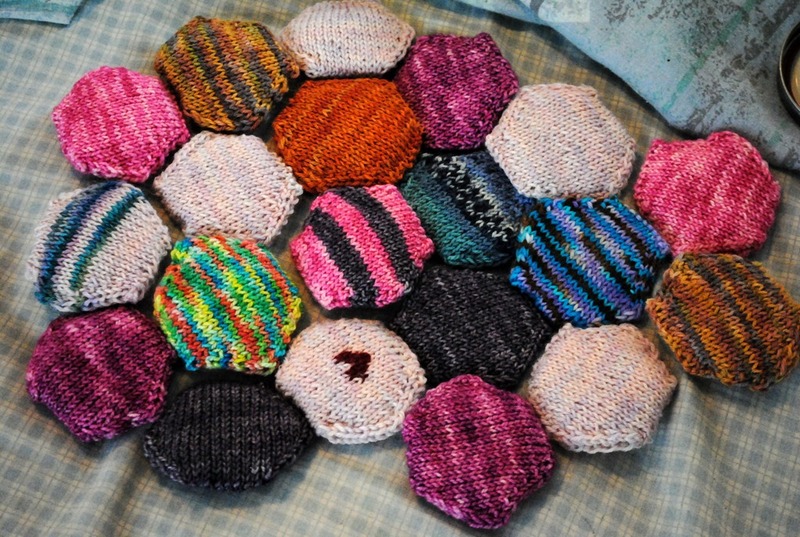 I am so absolutely in love with the beekeepers quilt project. I love watching a hexipuff turn up in palms as if it was nothing! MAGIC! 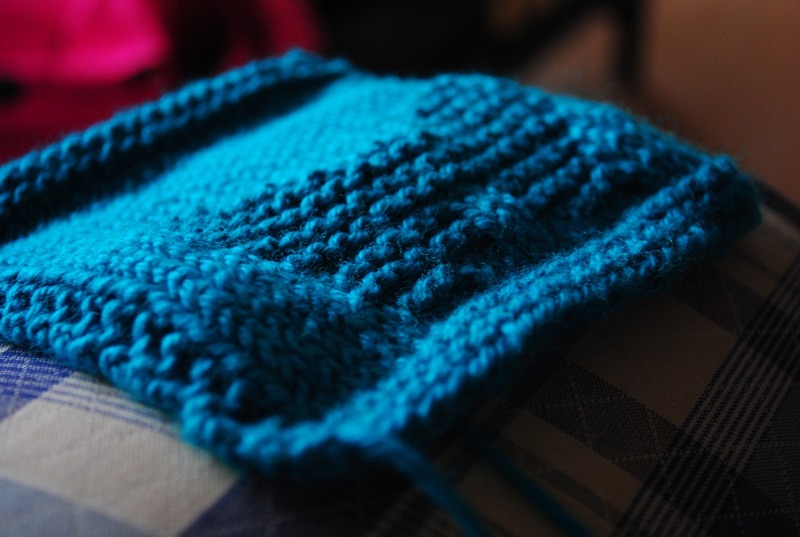 Go check out the other WIPS at tami amis! 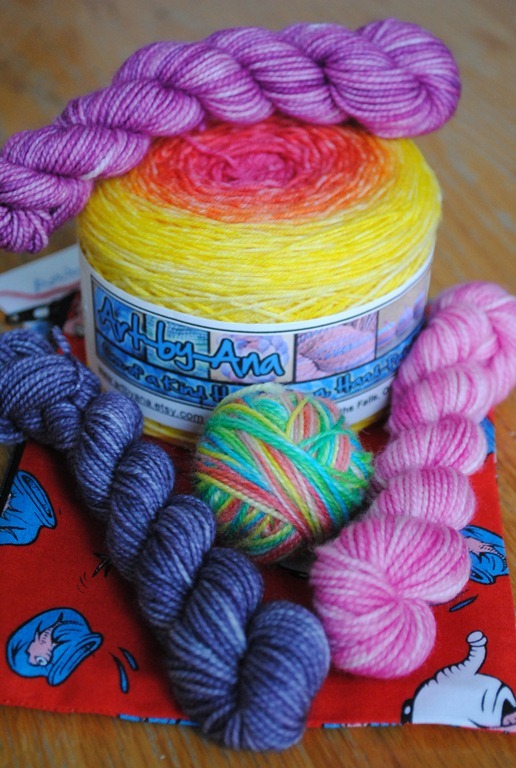 owlmazing makes… a FO Friday! 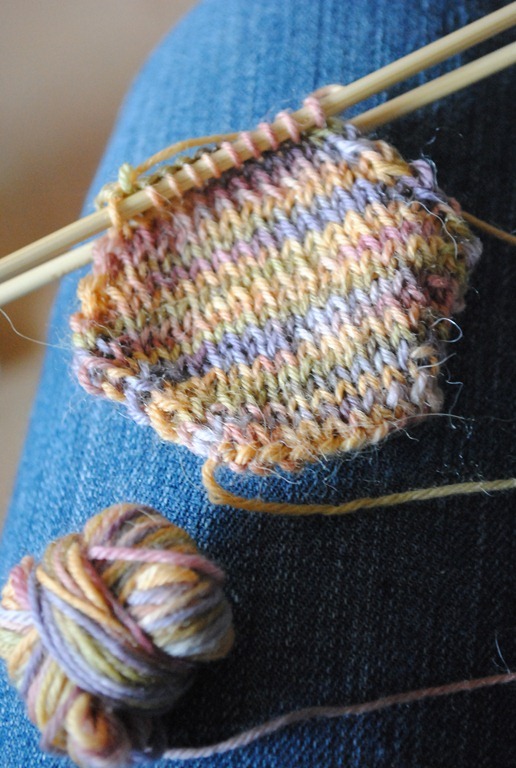 I’m excited because this is my first time participating 🙂 I DO have a FO for today…in fact 2 FO’s. I’m a little late…I hope its ok! I wrote this last night and never got to post it! eeks. 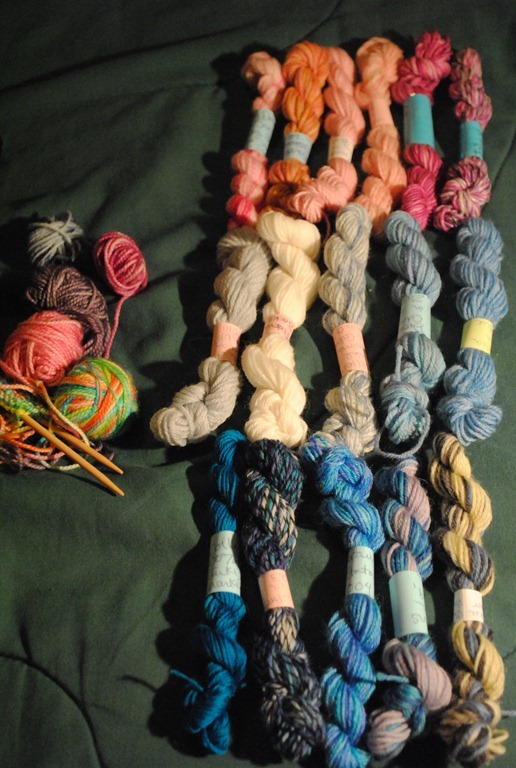 I knit the pink and blue stripe one today on my way to the LYS. 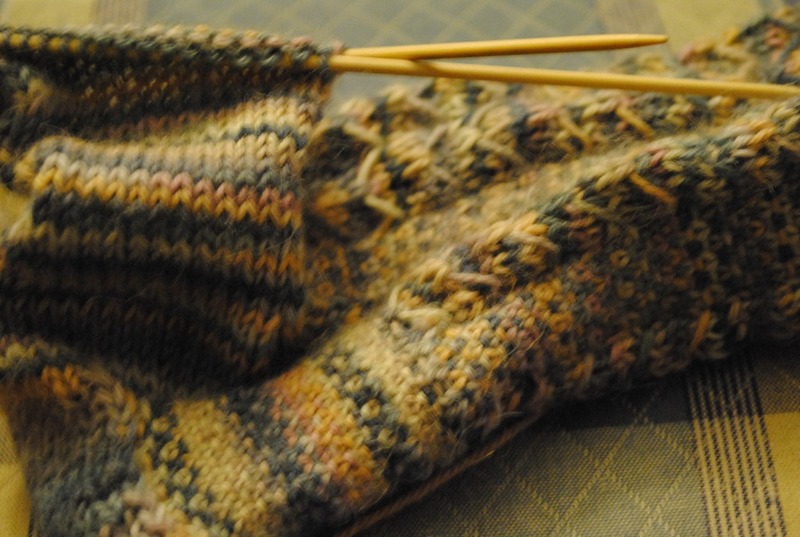 I knit the other one after I came back with my goodies 🙂 I just couldn’t wait to see how it would knit up. 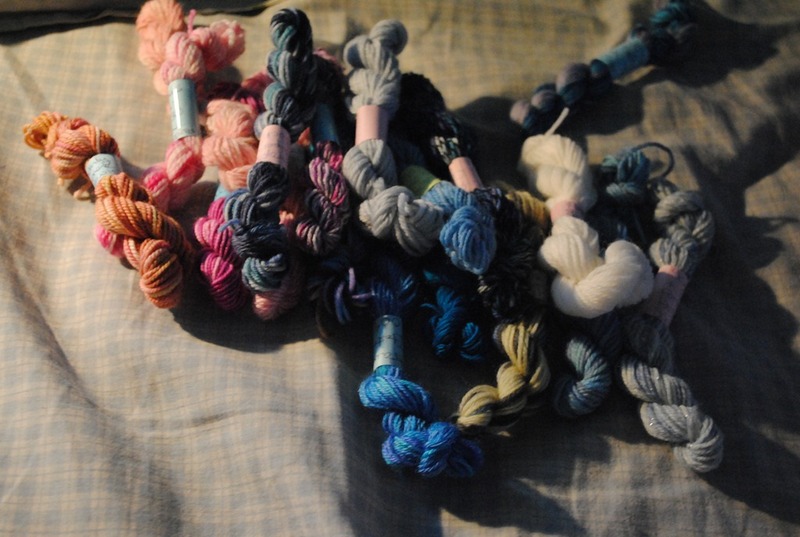 I recently ordered some mini skeins online but they haven’t arrived yet and I was getting anxious. 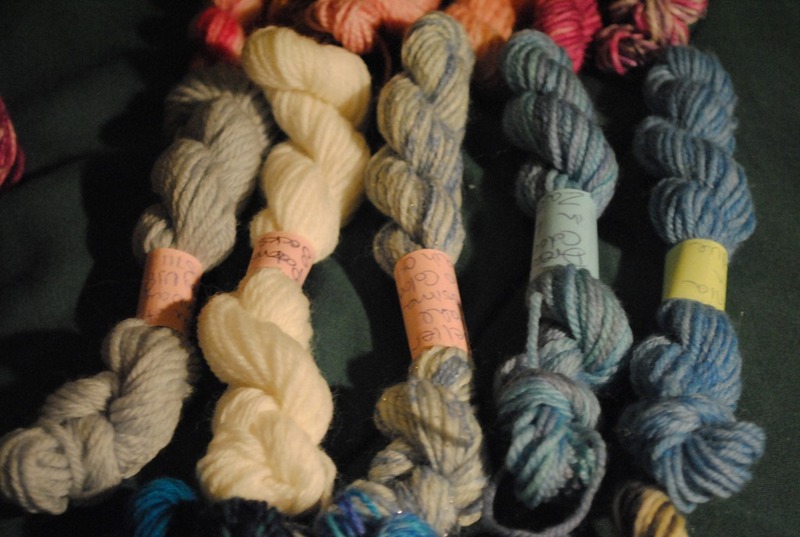 I was on ravelry that one of my LYS’s (my preferred one – the staff are young and suuuupppper friendly) was stocking mini skeins by their kind of ‘house’ hand dyer? Art by ana! 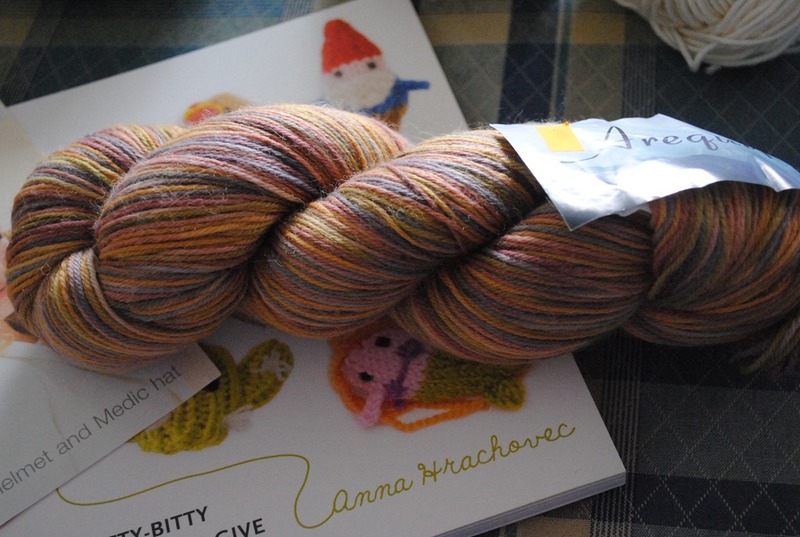 This was purchased at knit knackers. 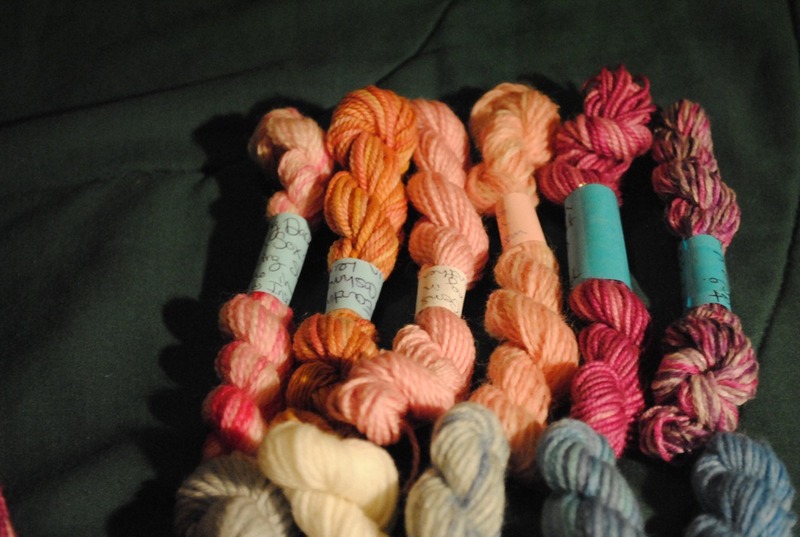 the 4 mini skeins for $15 dollars and the cake of sock yarn for $24. 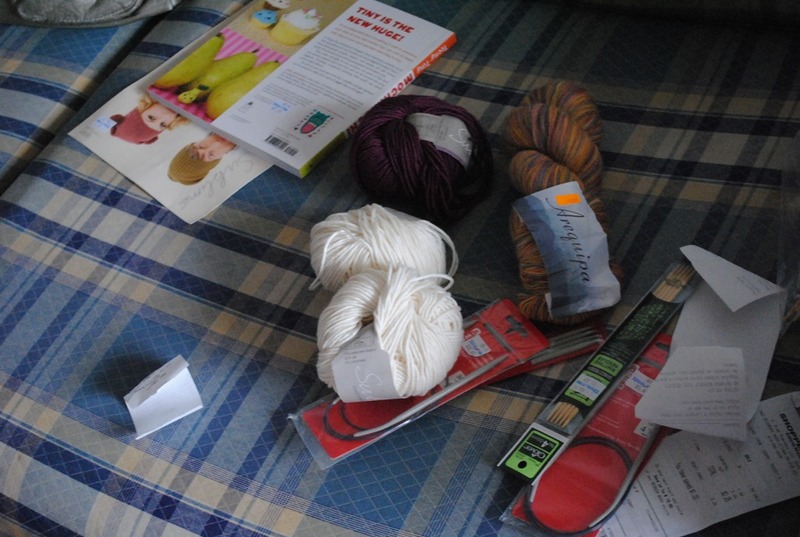 The notions bag was free! 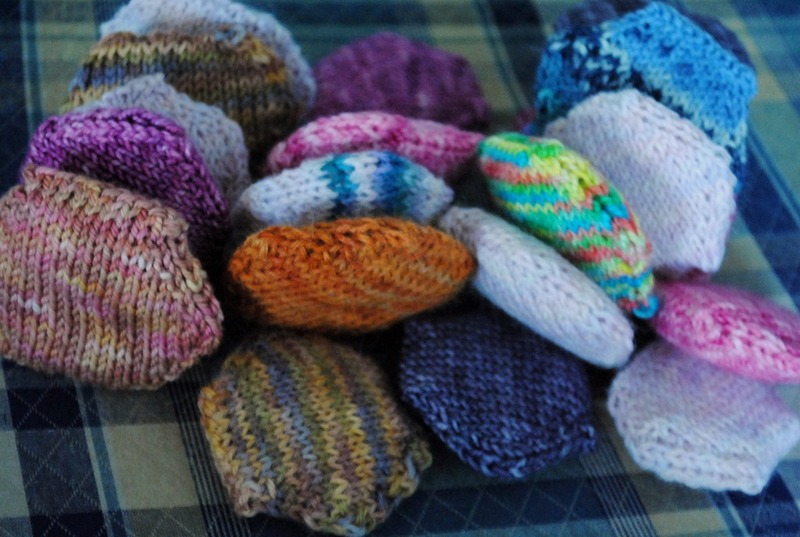 And absolutely PERFECT for toting around my hexipuffies 🙂 The yarn is so soft, I am totally in love. 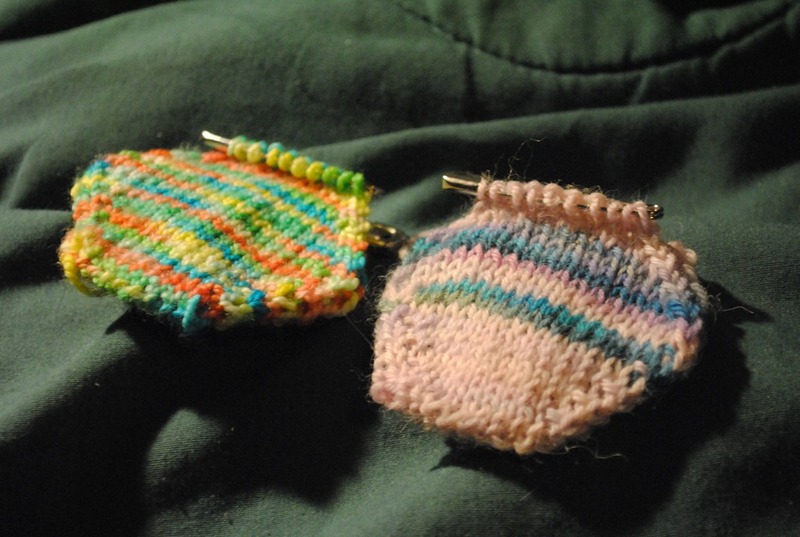 I realllllly want to knit myself socks from whatever skeins these minis come from! 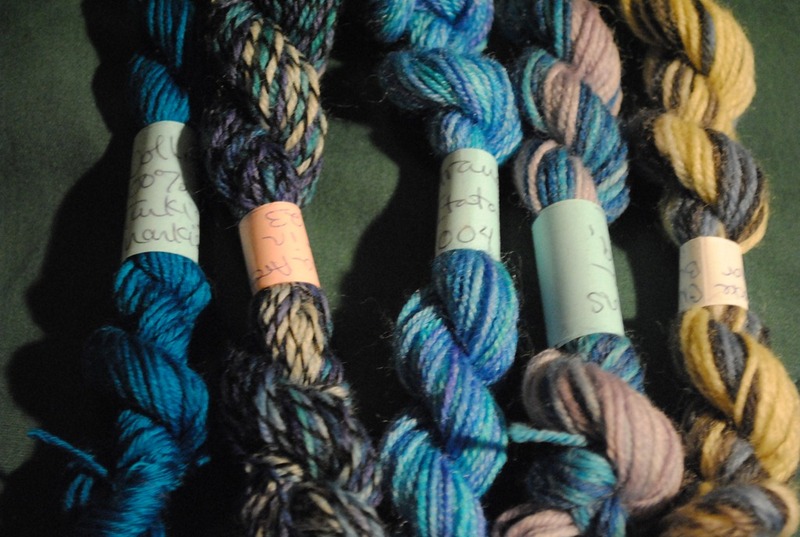 The semi solids are gorgeous. 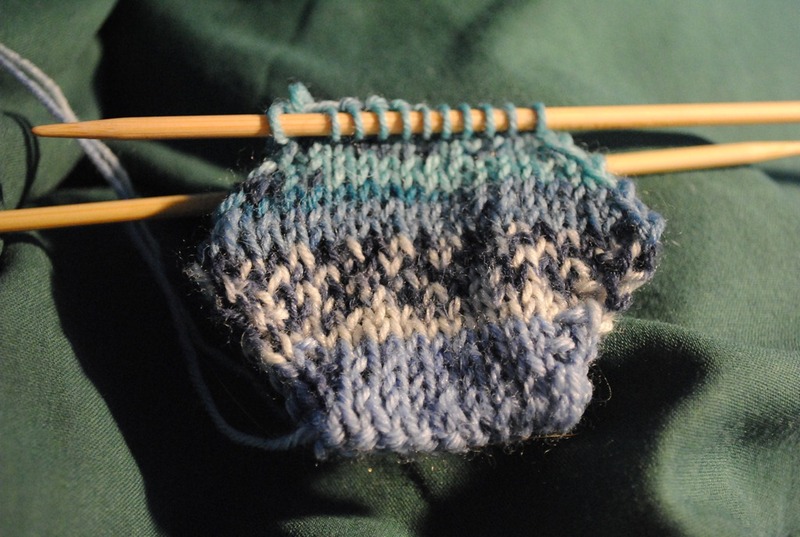 I actually finished 3 hexis and the heel on my moms christmas socks yesterday! go me!